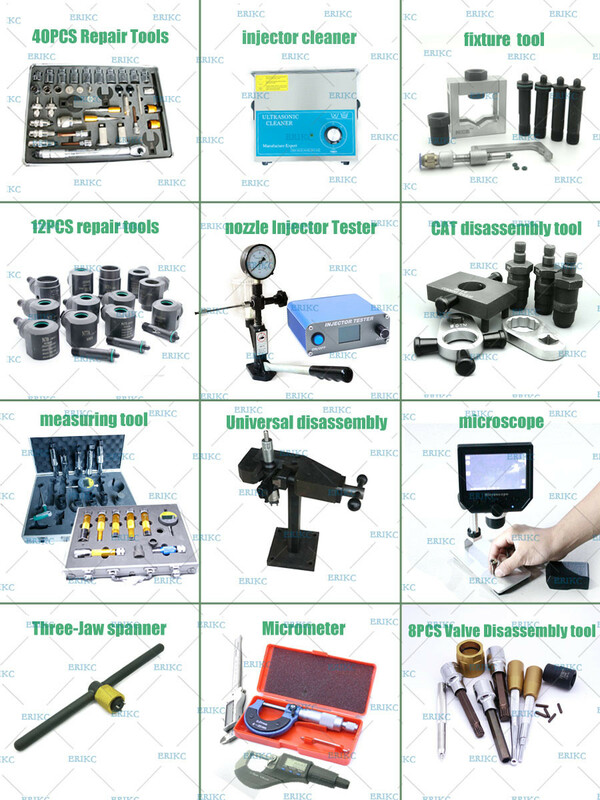 Zhengzhou Liseron Oil Pump & Nozzle Co., Ltd is specialized in core spare parts of diesel injection system for more than 20 years, is dedicated to produce and sell CR fuel system components.We have an excellent R & D team as well as advanced processing & testing equipment. With purely advanced European technology, ERIKC's product quality remains a world leading level. With the rising of the world's auto emissions standards, the market shares and demands of CR products with lower energy consumption and lower pollution will increase day by day. Facing the huge potential international market, Liseron is willing to provide the high-quality products and services for our customers on the basis of the concept of technological innovation and honest. Mainly producting and selling: Bosch Denso Delphi CR injectors, nozzles, control valve, valve bonnets, CRIN injector repair kits, injector adjusting shims, common rail injector testers and repair tools. And we have our own brands, are the sole agent of UK ERIKC ( the former OEM factory of Bosch Denso Delphi parts). Personalized products and services offer customers significant advantages. Thanks to the high quality and reliable performance of our products, we are trusted by customers all over the world. In accordance with the basic concept of mutual benefit, long-term cooperation and common development, we are willing to form an alliance with honest friends around the world, work together to create business opportunities and make our sky bluer! Our products are suitable for many engines in the world such as Chinese engines ( Yuchai, Weichai, Xichai ) Japanese Engines (Isuze, Hino, Toyota, Mitsubishi) and European engines etc. Technology changes the world. , Lower few consumption and lower pollution are ERIKC's strategic target. 1993, Company established. Main product injector, nozzle, valve , etc. 2000,Build your own factory ，concludes mass production, science and technology research and development, global sales and after sales service. 2009, Export Market Gradually expanding to South North America, Europe, Mid East, Africa, Asia, Australia. 2013, Become the excellent member of the "HeNan Association of E-commerce Association”, make mutual progress with other members through exchange of learning. 2014, Develop other auto parts products , Increasing product model Products , exported to over 180 countries. 2015, Expand office space ，Expand sales and after-sales service team. 2017,Participation in auto parts exhibitions in china, Thailand, India, Las Vegas and other places, the feedback is very good. ERIKC offer 12 hours quick pre-sales response and free consulting. Any kind of technical support are available for users. We offer logle printing to all the distributor and users. Adopt advanced testing equipment, such as: diesel injector tester, nozzle diagnostic , test bench , microsoft , measuring machine, which ensures the excellent quality of our products. We have mass production and stock & ready item, for these items, we offer 5-7 days quick delivery time. For special requirement, we will trade you as the priority customer and to produce your cargo in the first time. For more detailed information, please do not hesitate to contact us! We welcome your inquiries to our email: erikc@liseronozzle.com , and look forward to working with you. ERIKC Provide a line of service for the production, sales and after-sales of fuel injectors and other auto parts . brings relevant professional top talent and technology together for a highly qualified professional team . We have R&D Dep., QC Dep., After-sale service Dep., Production Dep and Sale Dep., total about 200 people. As the expansion of our business, We will have more people to join .